The famous Berliner painter Elvira Bach is turning 60. 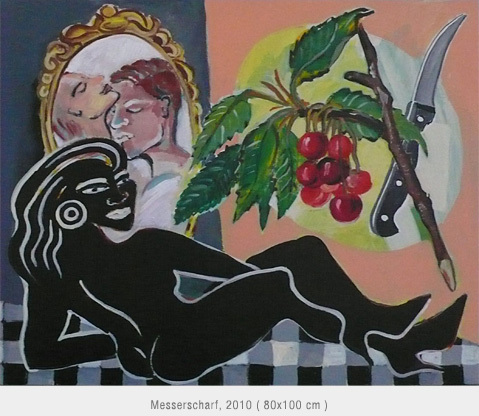 On the occasion of her birthday, the «Galerie Brennecke Berlin» shows 16 of her paintings until June, 13th. Characteristic for the paintings of Elvira Bach are colourful pictures of strong women.